Sign up for ibotta here to start saving! Ibotta is an iPhone and Andriod App that allows you to earn money by purchasing products, watching videos, taking polls and competing other activities. It is easy to use and your earnings are given to you as a rebate into your Ibotta account (sort of like SavingStar). You can earn $20 or more each time you go shopping. The more you use it, the better and more personalized your offers become. You don’t need to show your smartphone or scan a card at checkout. You will simply take a picture of your receipt as verification of purchasing the offer. All new users who sign up for Ibotta can each earn $2 if they redeem 2 offers within the first 2 weeks of registering for Ibotta. New Bonuses can be revealed at any time; users will uncover hidden surprises as they use the app. Go to the Main Menu in the app and select Bonuses. Users can tap on the specific Bonuses to reveal instructions and earning levels. Ibotta has been upgraded with new Bonuses and Store Extras. PLUS, if you haven’t signed up for ibotta, you can get the $2 Newbie Bonus!!! I personally use ibotta and have saved money on items that I don’t usually have coupons for AND have even combined paper coupons with ibotta deposits for even more savings!!! you earn April Showers, you will unlock another exciting Bonus. What Stores Participate in Ibotta? There are numerous stores that you can shop at to redeem the Ibotta offers. 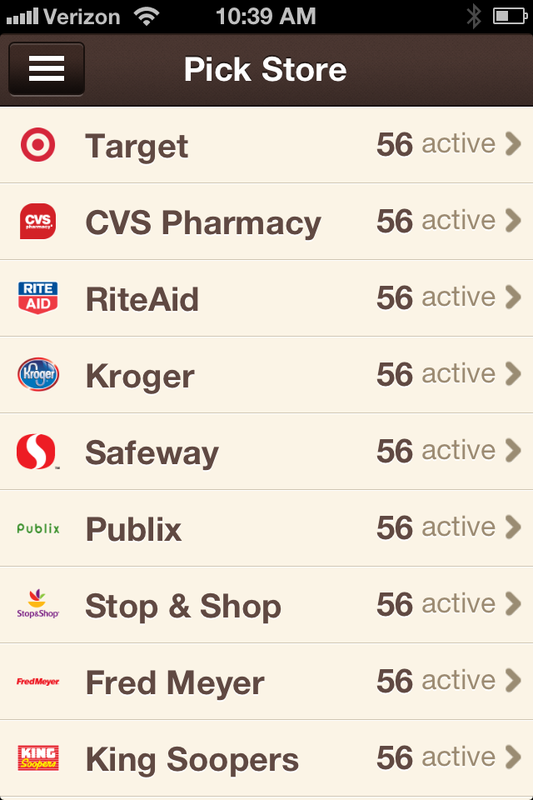 A few the stores include: CVS, Harris Teeter, Kroger (and affiliates), Rite Aid, Target, Walgreens, & Walmart. See a list of participating ibotta stores here. What are the Redemption Limitations? There is no limit on the number of offers you can redeem. Once you have successfully redeemed an offer, Ibotta immediately restocks your shelf with a new offer. Please note that all of products featured are for single purchase and no additional credit will be awarded for multiple purchases of the same product. What is the Payout to Withdraw Cash? Once you’ve redeemed offers totaling $5 or more, Ibotta lets you transfer your earnings directly to your PayPal account. You can also donate to your favorite school in lieu of redeeming cash for yourself. 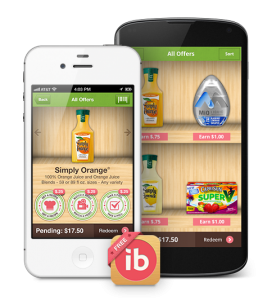 See a list of current Ibotta coupons available in the Coupon Database! There are great offers from Coca-Cola, Keebler, Dove and more! *Make sure to confirm your account via email! Do you use Ibotta? Share your tips and experiences! Where do I get coupons? This is always a question that pops up when I’m chatting with people about coupons. Coupons can be found just about everywhere these days. The key is to always be on the lookout for coupons whether you’re at home, work or running the kids to baseball practice. 1. Sunday paper: The newspaper is one of the best sources for coupons. There is typically 2 coupon inserts per week. SmartSource and RedPlum. 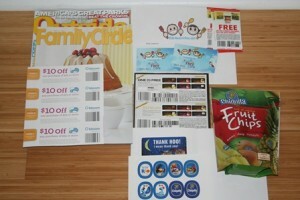 Proctor & Gamble will include a monthly insert and General Mills periodically includes coupon inserts as well. I recommend getting multiple newspapers, so you can purchase multiple of the same products during a good sale (stockpile). Find out where to get extra coupon inserts to maximize your savings. 3. In-Store: Inside stores can be a great resources for coupons. Look along store aisles for “Peelies” on the product and Tearpads, coupon booklets or “blinkies” near items. Remember that “blinkies” tend to be coded with a “9” so the coupon won’t multiply. Also, Catalina coupons may print from a Catalina machine next to the register at the end of your purchase. 4. Magazines: A lot of magazines now include some coupons. Good Housekeeping, Allure and All You Magazine are good sources. 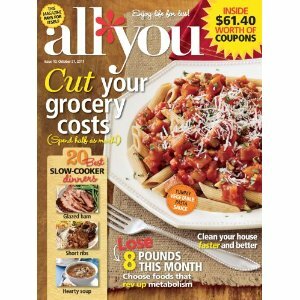 You can order a subscription to All You from Amazon or purchase at Walmart. The Amazon price is only $1.66 per issue with a year subscription. The Walmart price is $2.99 per issue, so you will save a significant amount of money by purchasing a subscription. 5. Mailers/Free samples: Signing up for free samples not only gets you a free product but a coupon usually comes along with the sample! Coupons from sample offers can be great to pair with a sale; especially on products that don’t see frequent coupons. 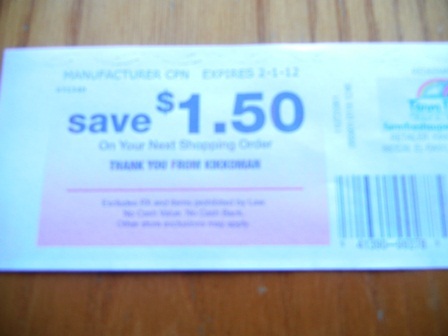 I’ve also noticed that these coupons will typically have a longer expiration date than other coupons. 6. Product Package: Look inside the packages of purchased products to see if a coupon is available. 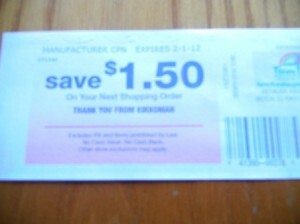 Often, the outside of the product package will advertise a coupon is inside the package, but not always. 7. 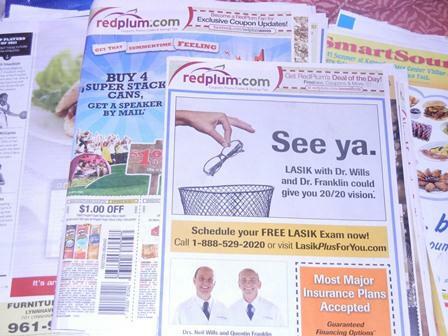 Physicians Office: You can also find coupons at your physician or dentist office. These aren’t always for prescription savings. I’ve found Crest coupons at my dentist and Tylenol coupons at my children’s Pediatricians office. 9: Store Loyalty Cards: Some stores allow you to use electronic coupons (ecoupons). These are digital coupons that you don’t print. They are electronically loaded onto your card or account. 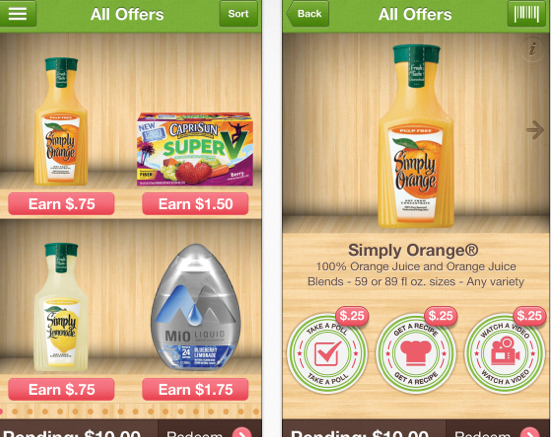 Read more about How to Use Ecoupons and the added benefits of paperless coupons. 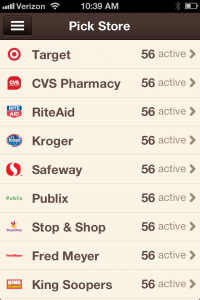 As you can see, coupons can be obtained from a wide variety of locations. Now that you know where to find coupons. Find out how to read coupons. “Stacking” coupons is one of the great secrets of saving with coupons. Once you realize that stores will allow you to use both a store coupon AND a manufacture coupon on 1 item, the whole world of coupons seems a bit brighter. Why? Because you have now essentially doubled your savings! Now, not all stores allow “coupon stacking” and not all stores even offer store coupons. The popular chains do; however, have this wonderful note in their coupon policies. This week, we will look at your favorite stores that allow coupon stacking. Before we more forward, it is important to note that you can’t use 2 manufacture coupons on 1 product. I am discussing using a store coupon (see post here) with a manufacture coupon. You must also follow any restrictions set forth by the manufacture or the store. CVS/pharmacy accepts one third-party manufacturer coupon and applicable CVS/pharmacy coupon(s) for the purchase of a single item, unless prohibited by either coupon offer. Make sure to always scan your Extra Care Card at the Magic Coupon Kiosk before shopping. You might be surprised with an unexpected store coupon or free offer. You can also print CVS coupons online. 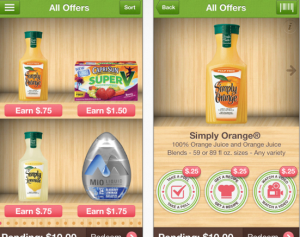 An ecoupon is a digital coupon that isn’t clipped or printed. The coupon is downloaded online directly onto a store loyalty/discount card and is redeemed electronically. The coupon value will automatically be deducted at checkout once the qualifying purchase is made within the redemption period. Ecoupons have become more prevalent and are now widely accepted. However, not all stores accept ecoupons so it is important to know your stores coupon policy. Simply heading over to the store website will also help determine if and which service your store uses for ecoupons since each store will have a specific ecoupon service they use. You will need to sign up for that particular ecoupon service and register your store loyalty card to load and redeem coupons. I’ve been talking about all types of coupons, but What is a Catalina Coupon? A Catalina is a coupon printed at the register from a Catalina machine when a participating product(s) is purchased. The Catalina machines are little printers next to the register (shown below). Purchase X amount 0f products and earn X dollars off your next purchase. You will need to purchase a specific number of participating products or a specific dollar amount of products to trigger the Catalina. These coupons are great because you can use them to help save on items where coupons are rare such as milk and meat. Purchase X products to receive a FREE product on your next shopping trip. You need to purchase a specified number of products to either receive a coupon to get a free product or to get money off of a specific product(s). Purchase 4 participating General Mills Cereals and get FREE Milk (coupon printed at register). You must purchase the 4 boxes of applicable cereal then you will get a Catalina coupon at checkout for FREE milk. You can’t get the milk free in the same transaction. Knowing the difference between a Manufacture coupon and a Store coupon is important to help maximize your savings. Why? You can stack a manufacture coupon with a store coupon at most stores! We have already looked at the Anatomy of a manufacture coupon. Make sure to head over and read that post if you missed it. 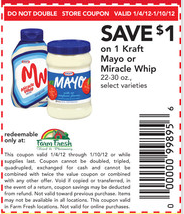 I want to look at in-ad coupons from my local grocery store, Farm Fresh. I have received questions regarding these coupons over the years, so I wanted to focus on this store. First, notice the coupon below states “Store Coupon” on the top where it would normally state “manufacture coupon”. Additionally, you will notice the barcode starts with a “0” and the coupon lacks a redemption address and retailer terms. The coupon also states “redeemable ONLY at Farm Fresh”. The store doesn’t get reimbursed by the manufacture for this coupon. You will also find manufacture coupons that are sponsored by a specific store. The coupon below is a manufacture coupon with a Farm Fresh store logo. You will notice the coupon has all the same features of as a standard manufactures coupon and says “Redeemable at” Farm Fresh. The coupon will be submitted to the manufacture for reimbursement. Some stores will accept competitors manufacture coupons, so read the coupon policy at your local store to see if your store accepts competitors coupons. After posting about the anatomy of a coupon, I realized it was important to step back and show you a few ways to recognize a fraudulent printable coupon. Unfortunately, it has become increasingly common to come across fraudulent or modified coupons. The coupon is too good to be true: If something is too good to be true, it probably is. A printable coupon for a FREE 12-pack of Pepsi (or $3 off) would raise a huge red flag for me. No expiration date or a long expiration date: A coupon must have an expiration date. If there isn’t an expiration date, chances are the coupon is not valid. Having an expiration date longer than 6 months would also signal something may be wrong with the coupon. Most printable coupons are going to be valid around 4-6 weeks depending on the manufacturer. Lack of a UPC code: A coupon needs a UPC code to be tracked and to specify the item. If there isn’t a UPC or barcode, don’t try to use the coupon. The coupon is a PDF: PDF coupons are becoming increasing rare. 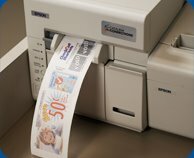 They are easy to manipulate and the number of prints is unlimited. While not all PDF coupons are fake, research the coupon if it was emailed to you from a friend or found randomly on the web. Obtaining the PDF coupon directly from a company website or from an email sent to you by a company is the safest course of action when dealing with PDF”s. Multiple coupons with the same encrypted 2-D Barcode. This would signal the coupon has been photocopied and isn’t valid. Also, make sure to use a trusted site for obtaining coupons. The Coupon Challenge and most other bloggers try extremely hard to ensure the coupons we are posting are legitimate. Yes, we can still be fooled. However, we take measures to prevent sharing with you coupons that are fraudulent. You can find a list of fraudulent coupons on the CIC website.